Kansas City, MO – AGENCY H™ Inbound is pleased to announce the release of a new website for ThinkReliability. Located in Houston, TX, ThinkReliability provides root cause analysis services to businesses worldwide. 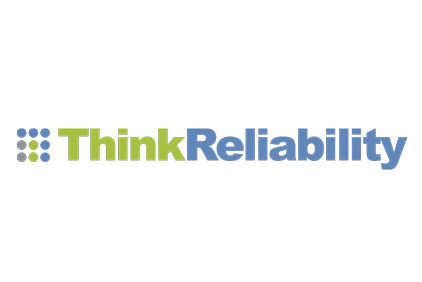 The team at ThinkReliability serves as consultants who provide custom solutions for specific client issues, and as educators who provide Cause Mapping workshops to teach businesses how to approach problem solving. AGENCY H, founded by Jeff Henry in 1997, services clients across multiple industries nationwide. AGENCY H Inbound offers all types of marketing and advertising solutions including inbound marketing, lead generation, social media, search engine marketing, and web design. To learn more about AGENCY H Inbound and its services and expertise, drop us a line or contact Jeff Henry at 816-471-1877 or jeffh@thinkbigshot.com.